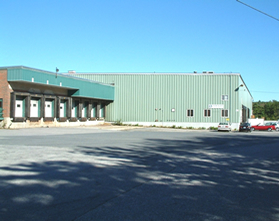 One-story high-bay metal building with five truck doors,and rail siding. Ideal for storage with 24′ clear height. Fully racked for palletized storage. Two-level office area covering 5,000 s.f. On-site parking for 25 cars.